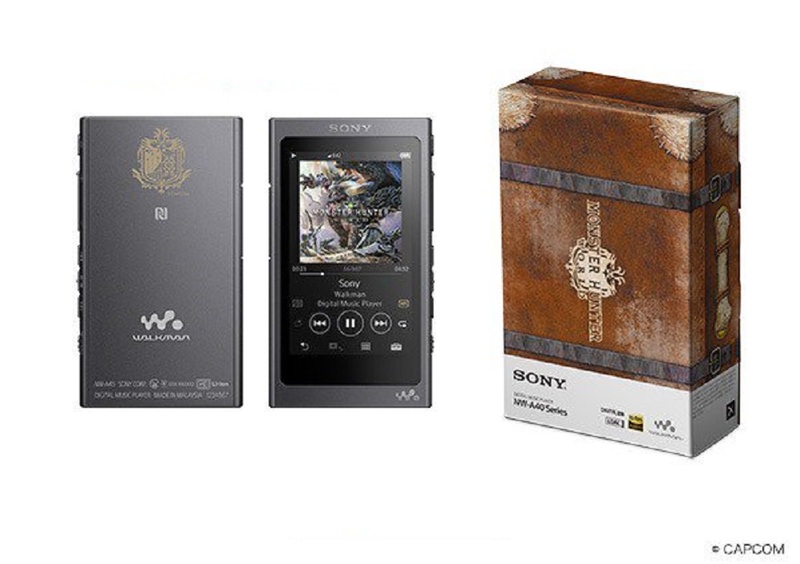 Sony have unveiled a range of whole audio gadgets designed around the theme of the upcoming open-word adventure title Monster Hunter: World, which is coming to PS4, PC and Xbox One in 2018. The set of 'choon providers includes a 16GB Walkman, which comes in five colours and is pre-loaded with a selection from the game's soundtrack. To allow the game's atmospheric beats to ring your drums you can purchase a pair of themed "h.ear on2" wireless headphones, available in the same colour palette. For those of you who have that special Monster Hunter in your life, a wireless loudspeaker is also available, so you can share your sounds on those cosy, fire-lit nights. I'd advise against using that on your base camp though, as it's likely to attract attention from any Rathalos passing overhead. All the gear comes stamped with the Research Commission insignia, and is boxed in supply crate-style packaging. Although spotted on Japanese website 4gamer, hopefully these items will be made available worldwide. I think it's all great-looking gear, though I'm confused as to how you fit your tapes into that supposed Walkman. Monster Hunter: World launches on PS4 and Xbox One January 26, with a PC release to follow.